Capabilities | Alloy Cast Products Inc.
We offer a wide arrangement of technical services including but not limited to: custom alloy research and development, casting and machining technique process recommendations, chemistry testing (out service) physical property testing (hardness), and computer assisted drawing and reverse engineering services. Air Set: Cool draw air set sand molds from virgin round grain silica sand. High Production continuous mixed materials from our new custom built PALMER system. Hot Set: Specially formulated resin coated sands, using sub-angular grain silica, come in contact under pressure with HOT metal patterns, This is a Hot Draw, Hot Bake process. After curing the mold is drawn from the pattern with very faithful dimensional reproduction. 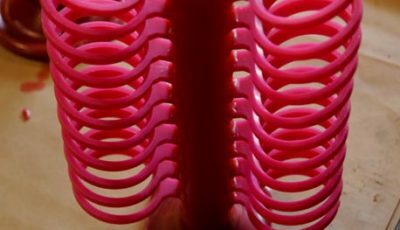 Ambient temperature molds are cast producing low stress parts with high quality as-cast surfaces. 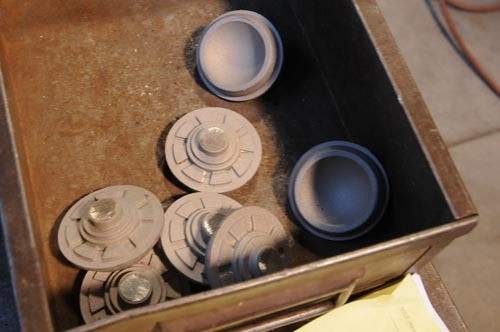 Prepared molds are held in a high temperature oven in the final phase. 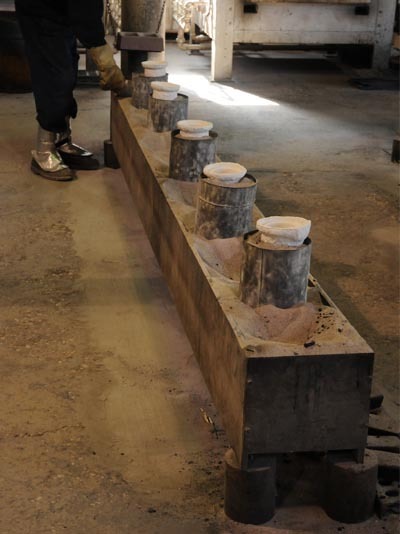 The hot “Solid Molds” are then cast. 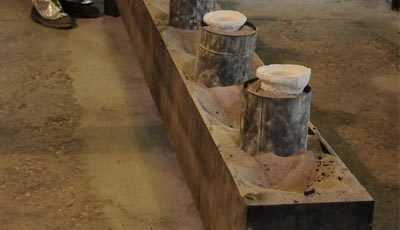 This insulated mold system will cause a slower rate of metal solidification, which affects casting grain structure providing desired mechanical properties in the as-cast state. 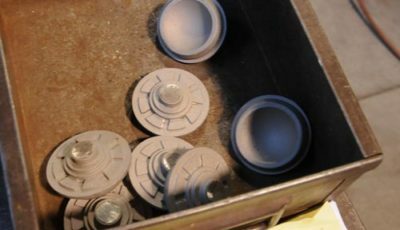 As a “lost wax” process which begins the same way as “Investment Casting,” however the completed wax mount will be coated with several layers of ceramic bone chine refractories to create a hard shell. 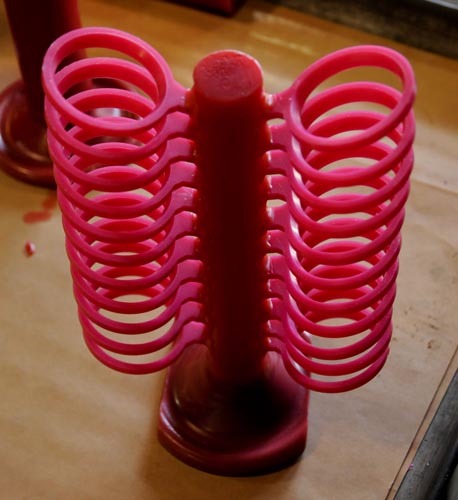 De-waxing creates a free standing ceramic mold which will be fired at very high temperatures and cast although the mold is hot I’s materials will cause a faster rate of solidification than that of a “Solid Mold” investment casting. This creates a slightly different grain structure in addition to allowing very tight tolerances to be achieved in the cast state.